As you will recall I spent five weeks in India, which included four weeks of teaching Indian pastors. 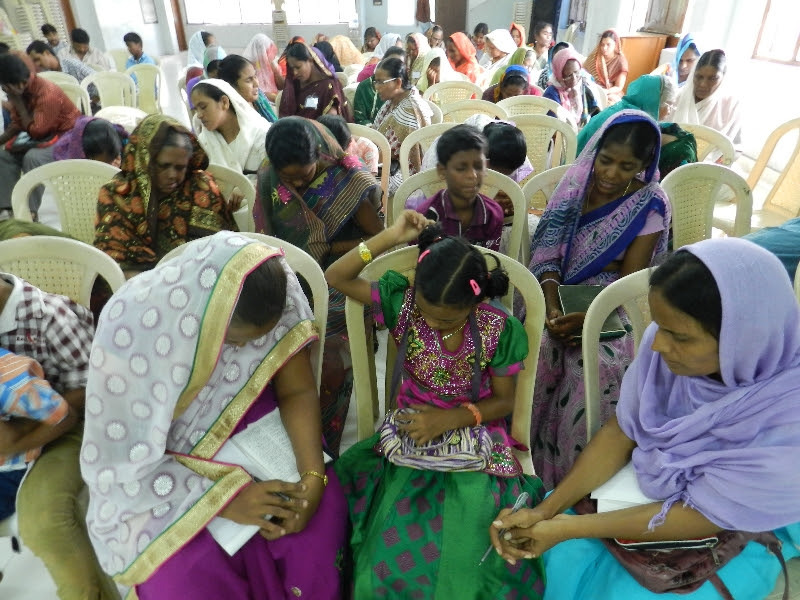 All told, we ministered to some 320 church leaders in three Indian states. Topics included: Doctrine of Christ, Living in Grace, Evangelism, and Bible Survey. I had as a co-teacher my friend Francois who serves as an Elder here in our local church. Francois was with me for three weeks, and I think he will return to India again when he is able. In fact, I wish all of you reading this could come and get a taste of the wind of the Holy Spirit blowing in that land! Churches are growing and multiplying. I have heard estimates of 20,000 people coming to Christ EACH DAY! Who will shepherd these young believers? Who will care for them, and teach them the basics of walking with Christ and belonging to His family? God gives gifts in His church, including pastor/teachers. But most are poorly trained. We in the North American church are drowning in resources for Bible study, Christian books, radio and podcasts, and many gifted teachers. It is our privilege in ELI to share from the wealth the Lord has blessed us with. Church leaders in India (and most of the world) are hungry for the meat of God’s Word, and for training in the skills of study, preaching and counseling. As you know, ELI provides training for these leaders, at little or no cost to them. Some enroll in a Certificate program and others go on for Bachelors and even Masters work in Theology. (The Indian Masters students began their program last fall.) Be encouraged, friends, God is using your prayers and support to strengthen His church where it is growing so very fast. I anticipate returning to India in Sept/Oct, God willing. Please join me in praying for co-teachers, funds, and all the logistics. Theological College. Pastor Nelson Wesamoya explained that the vision for the college is “the direct result of ELI’s training over several years that has impacted thousands of lives.” Their vision is an interdenominational college that trains leaders. Vicar Noah represented one diocese of the Church of Uganda and Deacon Arphaxed another. The COU is the conservative version of the Anglican Church. Bishop Francis is the top leader of the Evangelical Episcopal Pentecostal fellowship of churches in Uganda, Rwanda and Tanzania. Green Pastures, in partnership with ELI, works with hundreds of independents and various other fellowships. Immediately after the CCI training the Don and Dave met with George Kitabula, headmaster of Green Pasture Secondary and Vocational School, Agnes Wesamoya, a key leader of Wampewo Primary School as well as some teachers. They discussed how ELI might partner with these schools to help them become “model” schools from which we can send Educational CCIs out to influence other schools. Wampewo has over 440 primary students and only 12 teachers. GPSV school has over 160 students. The Fresh Miller project is a Business as Ministry (BAM) initiative to create a for-profit business for the express purpose of launching other women into their own BAM. ELI met to discuss the business model and strategy with Stella and Kenneth, who will lead the business and training. Pray for this initiative as we seek wisdom to move ahead. Thursday evening, ELI hosted a dinner meeting to encourage and hear reports from our Marriage Certified Course Instructors. They continue to receive invitations to hold seminars. Four more are scheduled before this year’s end. ELI is working itself out of a job as the nationals take up the task. 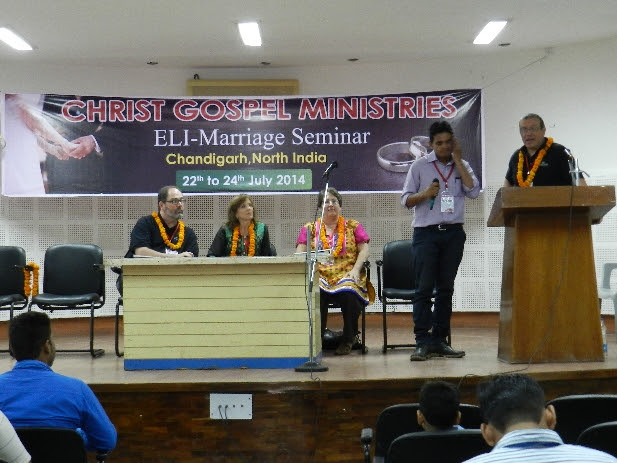 Friday, Don and Dave traveled to Butalejan, to open a Marriage Seminar taught by the CCIs. The church was filling up with people and enthusiasm as they departed for the airport. New Board Member – Vicki Kloosterhouse, Ph.D.
ELI recently added a new Board Trustee – Dr. Vicki Kloosterhouse. Vicki brings to ELI a high level of educational, leadership and stress management expertise made practical by her personal experience teaching in developing nations. She also brings a joyful passion for the Kingdom of God. We are delighted the LORD has added Vicki to our Board. Vicki has had the opportunity to put stress management and leadership principles in practice around the world. In the field of higher education, she has served as a faculty member and in administrative positions at various educational institutions, which included Dean of Education at an African university that had been decimated by civil war. She has worked as a facilitator for an educational organization that trains teachers in the area of leadership, brain-based learning and best practices. As a John Maxwell Certified Team Member, she receives ongoing training in leadership. Her background in wellness has afforded her the opportunity to teach in a college health program, as well as conduct stress management training for relief workers in Asia, Africa, Haiti and the United States. She also serves with Empower Women Leaders whose mission is to serve and train women in developing countries. ​Graduating from Michigan State University, she received her Ph.D. in Human Development and Family Studies with an emphasis on psychosocial health and a M.A. in Classroom Education. Additional training in stress management and in trauma care came through the Harvard Medical School/New England Deaconess Hospital: Clinical Training in Mind/Body Medicine, The Center for Mind/Body Medicine, The National Institute for Trauma and Loss in Children, and Certificates of Completion in Stress Coaching and Crisis Response. Well, I’m on my way home now, but wanted to give you all a summary of our conference in Nebbi, Uganda. This region was far more organized, many more pastors and churches are represented, and they arrived on time. The level of understanding was much stronger than Adjumani and that’s because they obviously haven’t suffered in the same way those poor folks have. The attendees in this conference were mainly senior pastors, 160 of them representing 22 denominations. This made for a time of strong fellowship and hunger. The team members each taught with greater clarity and boldness. At times, the pastors responded with loud discussion among themselves when points were made. Once again, I see their Biblical understanding being challenged and stretched, and the verbal and physical body language is commensurate. The singing became stronger, and there were questions addressed to all of us. It has been obvious that your prayers were making a difference. Merle said a pastor approached with these words: “this has changed forever the way I will approach Scripture and preach the Word.” He had not been trained in ministry. These three days did more for this pastor than anything in all his life. One lady said to me, “After the second day, I went to the church and repented with tears before the Lord. “ Indeed the Lord used us to challenge their grasp of God and His work of grace. The older bishop spoke at the end of the conference and indicated to the entire assembly that they had never heard such challenging teaching. This course is extremely challenging to teach and I know it is even more difficult to understand. It was amazing to see them sit all day; we started at 9:00AM and didn’t finish until 5:15PM with a few breaks in-between. They begged us to return next year so we will make that a matter of prayer.